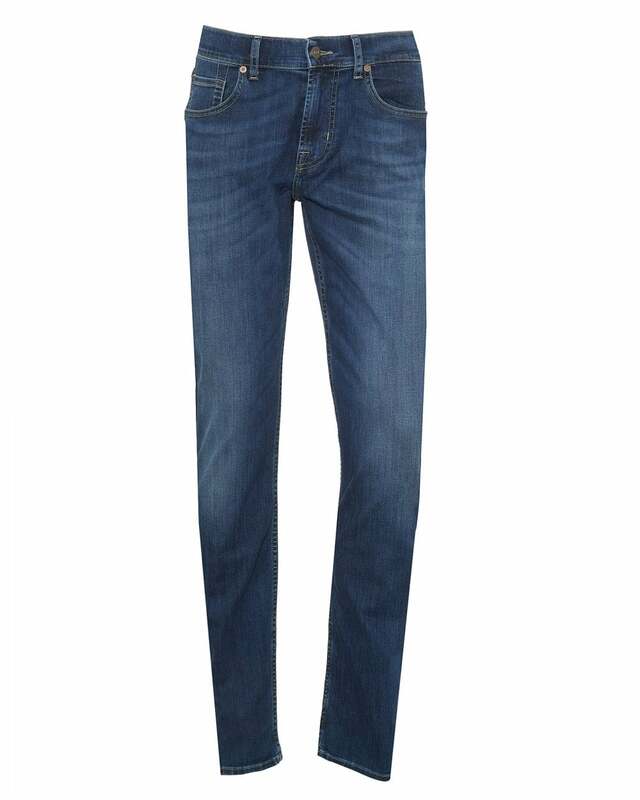 Refresh your off-duty attire with these slimmy New York jeans. Crafted to a comfortable skin fit, these jeans are accented with light whiskering, worn-in wash and subtle chevrons for an authentic used look. Wear with some knitwear for extra coziness.